What's there to be excited about for those employed within the Printing & Packaging sectors in the Middle East & Africa? Seemingly, within the MEA region, there are few other parts of the world where there are so many positive and optimistic factors for those employed in the Printing, Packaging & Media sectors. Be reassured and optimistic and look forward. Approx 30% of the population across the region are under the age of 15. Predictions are that the population of the region will grow by up to 60 % by the year 2050. From that, the current number of 432 million is to be a predicted 692 million… these can be called “future consumers"
Since 2011, new markets in the region have opened. Entrepreneurs, previously unwilling or simply not able to invest, now have the confidence and freedom to do so. Across the region there are major sporting and exhibition events planned in the forth coming years, which are stimulating major investment in public infrastructure, hospitality, tourism and transportation sectors. The region continues to invest and build, it’s significance as a hub for regional trading, shipping and aviation. Interest rates remain at the lowest level’s seen for several decades. Many reports seem to indicate that we have left the global financial crisis behind us and equipped with the lessons that no doubt have been learned, the economic outlook and opportunity for growth is very encouraging. Our prediction is that the erosion within Media & Commercial Printing sectors seen in other parts of the world attributed to the internet, will be more than compensated for in the MEA region by population growth, combined with general upwards economic activity. For those active within the packaging sectors, we are witnessing continued growth in “locally” produced FMCG brands, which is subsequently increasing demand for innovative packaging solutions and regional capacity. For those in the Media …more people and more opening markets ..equates to increased run lengths and paginations, new titles, new platforms and new channels of communication. There are those outside of the region who will no doubt be a little envious of the economic opportunities, so whilst the prospects are rosy ..one should not become complacent. If you are an employee and regardless of where ever you sit in the value chain, keep focused on your client’s need’s and the quality of the service and products you produce. Drive efficiency and continuously reinvent your self ..make your self indispensable. Employers …your people are one of your major assets..surround your self with your dream team and then look after them, if you don’t ..others will. 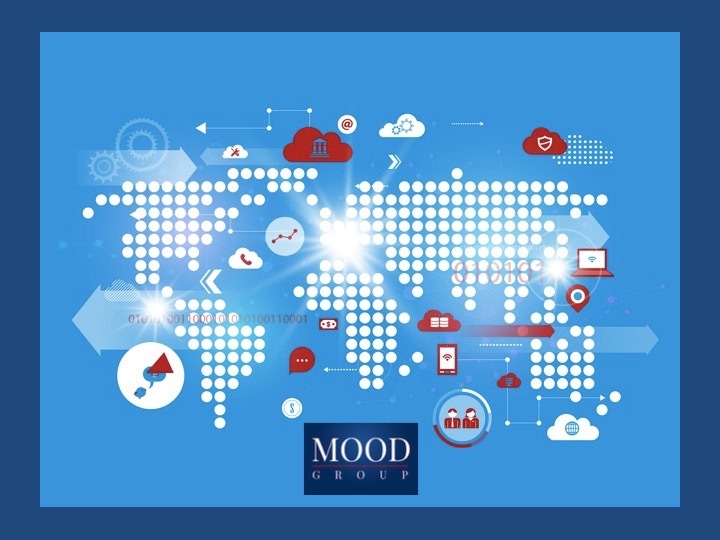 About the author: Marcus Doo is a Managing Partner of Mood Group - www.moodgroup.co.uk - Video: https://youtu.be/8rqvG0ylZWQ Mood Group are a specialist Head-hunting and Recruitment agency to the Printing, Packaging & Industrial Processing sectors. Great article - employers definitely need to remember the value of their "assets"! Old Europe collapse and Middle East & Africa grow up !!!!! That's the life !!!! Nice article Marcus! Sounds like things are getting positive the world round. My father always said that whilst print is one of the industries that is the first to go into recessions, it is also one of the quickest to come out. The last 6 months have been a buzz for us and almost all UK printers we deal with are telling a similar tale. Life is a wonderful adventure and you can be sure that it can change as quick as a blink of your eye. And through it all, we must develop courage to help us through the times that are tough. Sometimes we just have to say no to something or someone. Sometimes we have to face the truth, whether it's what we want or not. Doing the right thing can be difficult, especially if you are use to following the crowd and want their approval. You are the only one who will define how you are going to live your life each day. The path may not be easy and you may stumble, fall and fail to live in integrity all the time but strive for it, day in and day out. Make it your intention and then put that into action.